Click logo to open tab! 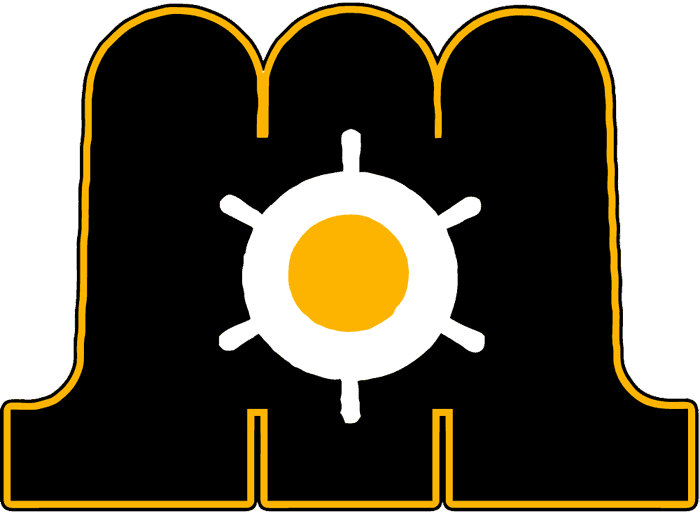 In the 1970s, the “original” Maine Mariners were brought to town by the same franchise that owns the modern Mariners, the Philadelphia Flyers. The Mariners began play in the 1977-78 season as the AHL affiliate of the Flyers and played their first game in Portland on October 15th, 1977. The Mariners took the league by storm, winning the Calder Cup after a 43-28-9 regular season and defeating the New Haven Nighthawks for the title. They followed up the impressive feat by repeating as Calder Cup Champions the following season, going 45-22-13 and taking down New Haven once again in the finals. 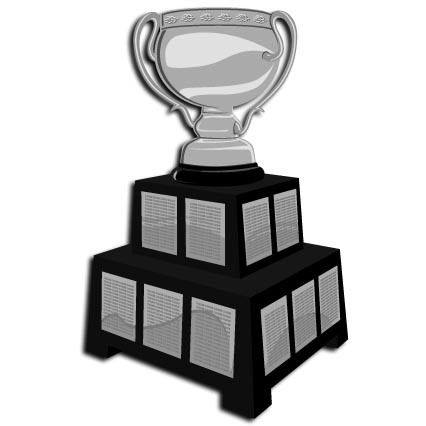 The Mariners are still the only franchise in AHL history to win the Calder Cup in each of their first two seasons. Prior to the 1983-84 season, the Flyers sold the affiliation to the New Jersey Devils, and the Mariners pulled off more “first year” magic, winning their third Cup, despite the franchise’s first regular season losing record (33-36-11). They defeated the Rochester Americans in the Calder Cup Finals to capture their third championship. It also marked their fifth finals appearance in seven seasons of existence. Following the 1986-87 season, the Devils relocated their AHL franchise to Utica, NY, opening the door for the Boston Bruins to take geographical advantage of the Portland market and place their top affiliate in town – an AHL expansion franchise. Remarkably, it appeared that the Mariners were going to pull off another first year run to the Cup, finishing with the best record in the North Division (44-25-7-4), but they were ousted by the Fredrickton Express in the Division Finals. The 1987-88 season would be the only successful one for the Bruins iteration of the Mariners, who failed to finish above .500 or make the playoffs in any of their four proceeding seasons. After the 1991-92 campaign, the Bruins moved the franchise to Providence, Rhode Island, where it still operates today. 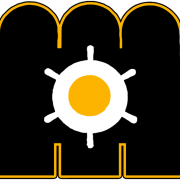 The last Maine Mariners AHL game took place on April 4th, 1992. After just one season without hockey at the Cumberland County Civic Center (now Cross Insurance Arena), the Washington Capitals moved their AHL affiliate from Baltimore, MD to Portland, and the Pirates were born. 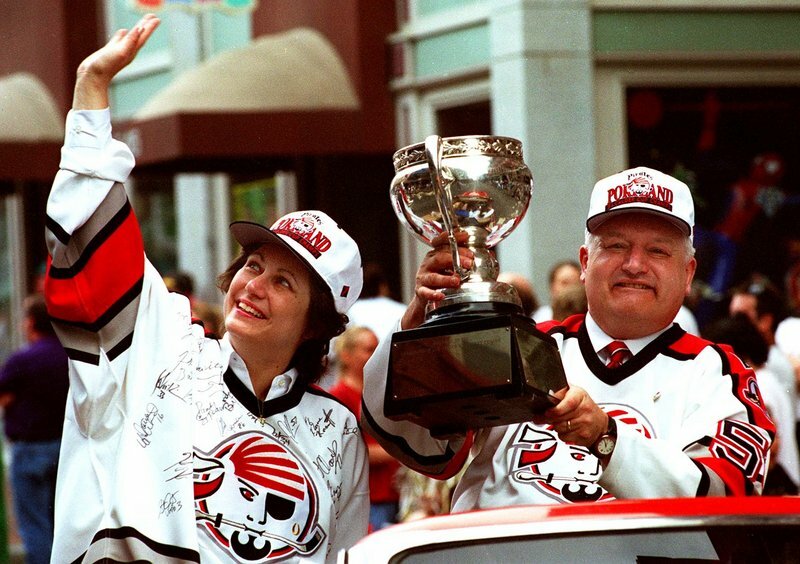 Enjoying tremendous success on and off the ice right away, the Pirates did what only the Mariners could do before them, and won the Calder Cup in 1993-94: their first season. Barry Trotz, head coach of the 2018 Stanley Cup Champion Washington Capitals served as the bench boss, leading them to a 43-27-10 regular season mark and a six-game victory over the Moncton Hawks in the championship series. 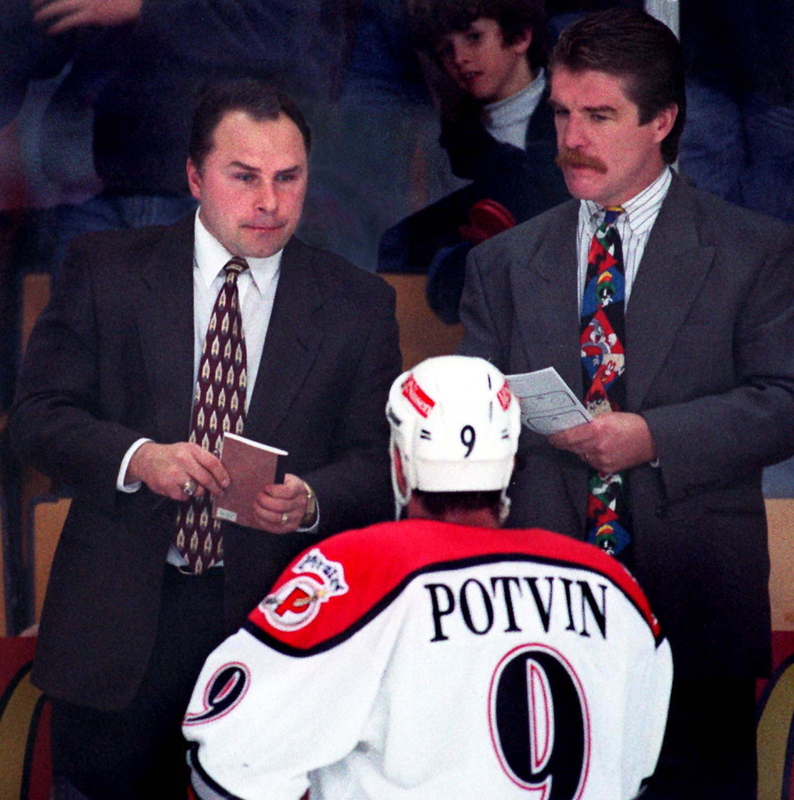 Trotz would serve as head coach until 1997. 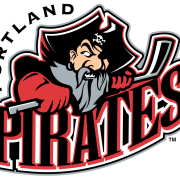 The Pirates returned to the Calder Cup Finals in 1995-96, but lost to the Rochester Americans in seven games. Although the Pirates would remain in Portland for ten more seasons, they would never make a return to the finals. 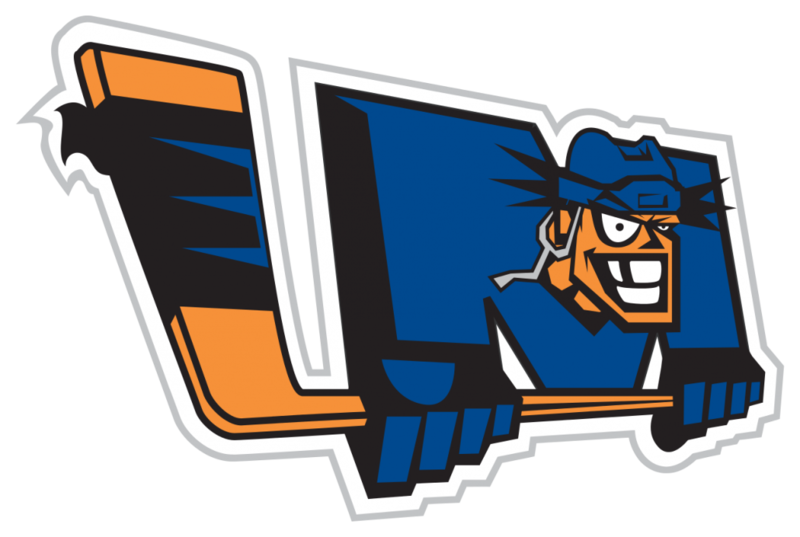 In the summer of 2005, the Pirates switched parent clubs from the Capitals to the Anaheim Ducks, an affiliation that would last for three seasons. In 2008, a new relationship began with the Buffalo Sabres that would last through the end of the 2010-11 season, after which the Sabres reunited with Rochester. The move ushered in the Phoenix Coyotes era, which spanned four seasons. During what would be their final season in Portland (2015-16), the Pirates were affiliated with the Florida Panthers. On May 4th, 2016, it was announced that the Pirates had been sold with intent to relocate the franchise. Less than two weeks later, the move to Springfield, Massachusetts became official. 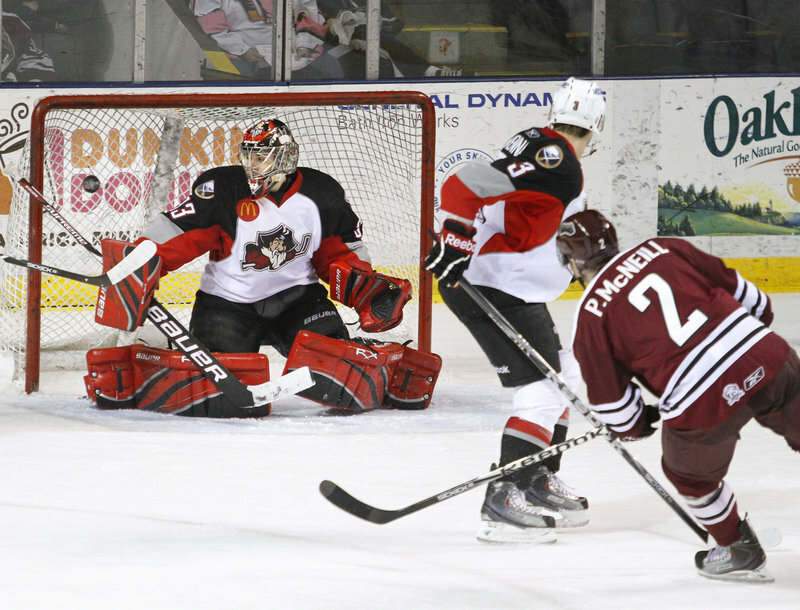 It was officially announced that professional hockey was making a triumphant return to town in June of 2017 when Comcast Spectacor purchased the ECHL membership of the Alaska Aces and relocated it to Portland. With Philadelphia Flyers brass Paul Holmgren and Danny Briere at the helm, the Mariners were “re-born” in September 2017 when they got their name, winning a naming contest and paying homage to Portland’s first pro hockey franchise. The Mariners went 37-32-2-1 in their inaugural season, missing the postseason, but were the only ECHL non-playoff team to finish with a winning record. A full timeline of the events leading up to the drop of the puck and through the inaugural season of ECHL Mariners hockey is below. June 15th, 2017: Comcast Spectacor announces its purchase of the ECHL membership formerly known as the Alaska Aces and its intention to move the franchise to Portland and the Cross Insurance Arena. September 29th, 2017: The Mariners get their name after beating out the Lumberjacks, Watchmen, Puffins, and Wild Blueberries in a fan vote. 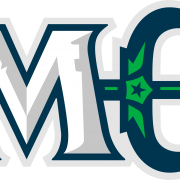 November 29th, 2017: The Mariners logo and color scheme is revealed. February 17th, 2018: Riley Armstrong is announced as the first head coach of the Mariners. 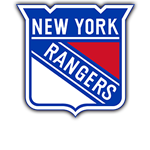 April 9th, 2018: The Mariners announce their affiliation with the NHL’s New York Rangers and AHL’s Hartford Wolf Pack. June 22nd, 2018: Forward Alex Kile signs with the Mariners, becoming the first rostered player in franchise history. August 15th, 2018: Beacon the Puffin is introduced as the Mariners mascot. September 11th, 2018: The Mariners make the first trade in team history, acquiring forward Terrence Wallin from the Adirondack Thunder in exchange for defenseman Matias Cleland. October 6th, 2018: The Mariners play their first preseason game in franchise history, a 5-0 loss to the Worcester Railers. 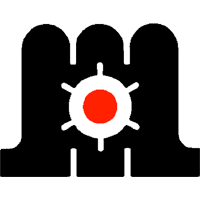 October 11th, 2018: The Mariners name their inaugural captains: Zach Tolkinen (C), Scott Savage (A), and Terrence Wallin (A). October 13th, 2018: The Mariners play their inaugural game, a 6-3 home loss to the Adirondack Thunder. Jason Salvaggio scores the first goal in franchise history, a power play goal at 10:29 of the first period. A crowd of 5,291 witnessed the game. October 21st, 2018: The Mariners win their first game in franchise history, defeating the Newfoundland Growlers 3-2 at the Cross Insurance Arena. November 9, 2018: Shawn St-Amant scores the first overtime goal in team history as the Mariners defeat Worcester 3-2 on the road. November 14, 2018: St-Amant also gets the first hat trick in Mariners history in a 6-3 home win over Orlando. November 24th, 2018: Ty Ronning registers five points in the third period to lead the Mariners to a 6-4 comeback win over the Manchester Monarchs. December 28th, 2018: The Mariners defeat Worcester 3-2 in a shootout at home, giving them a perfect 5-0-0 home record in the month of December. January 18th, 2019: Brandon Halverson makes 43 saves for the first shutout win in franchise history as the Mariners defeat the Manchester Monarchs, 1-0. March 1st, 2019: The Mariners defeat the Utah Grizzlies 4-3 in a shootout on the road, giving them ten consecutive wins in overtime or shootout games. The streak ends the following night with a 4-3 overtime loss. 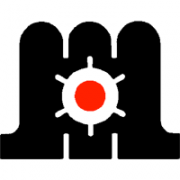 March 9th, 2019: The Mariners become the Maine Wild Blueberries for a game, a nod to the 2nd place name in the naming contest. 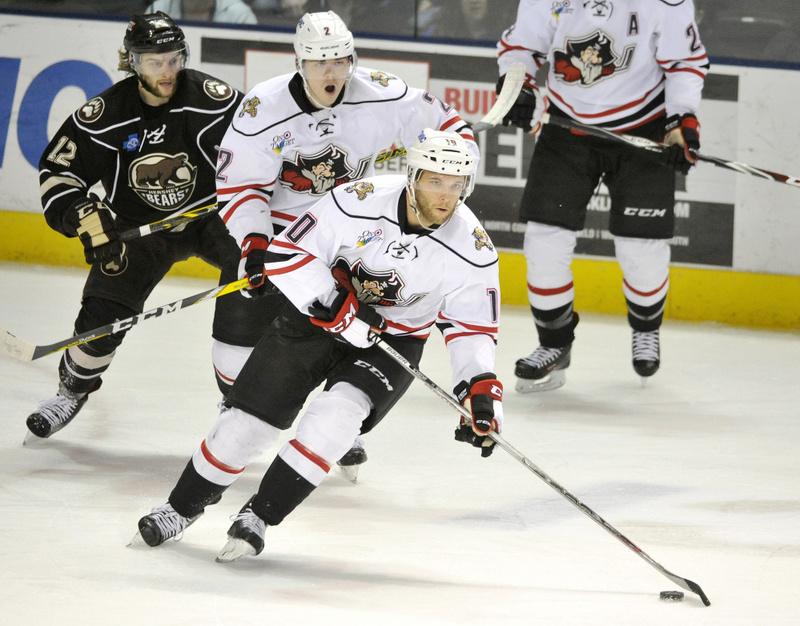 The South Carolina Stingrays defeat them in overtime, 2-1. March 17th, 2019: The Mariners and Newfoundland Growlers play an 18-round shootout at the Cross Insurance Arena, the 4th longest shootout in ECHL history. The Mariners win the game 5-4, with Wade Murphy scoring twice, including the game-winner in the 18th round. April 7th, 2019: The Mariners finish season with a 4-3 home win over Newfoundland, Murphy once again scoring the winner in a shootout. The Mariners finish their inaugural with a 22-12-1-1 home record. Prior to the arrival of the first Mariners to Portland, the Maine Nordiques competed in the North American Hockey League (NAHL) – a defunct professional league that lasted as long as the Nordiques themselves. Most hockey fans are familiar with the former NHL team, the Quebec Nordiques and there was indeed a connection. Lewiston’s club was an affiliate for Quebec – which at the time played in the World Hockey Association (WHL). Although not a professional team, the MAINEiacs competed in the Quebec Major Junior Hockey League (QMJHL), considered one of the top junior hockey leagues in the World. They are still the only U.S. based team to play in “the Q” for a full season, and they did so for eight, winning the league champion President’s Cup in 2007. The MAINEiacs have eight alumni that played in the NHL, including goaltenders Jonathan Bernier and Jaroslav Halak, as well as forward David Perron.